Originally published in Creation 12, no 4 (September 1990): 16-19. 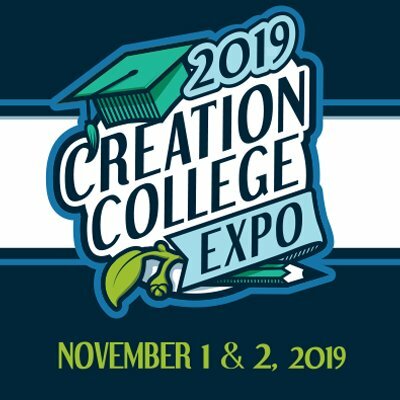 Students in grades 7–12 can visit with representatives from Christian institutions across the country who hold to biblical authority and young-earth creation. Register now for this free event! Numerous expeditions, including many I have led personally, have attempted to discover the Ark’s whereabouts. To date, none have been completely successful. However, some possible sites and claims have been disproved. One point of interest concerns an unusual rock formation about 30 kilometres (about 20 miles) from the mountain. First discovered from the air many years ago, it has been well studied by scientists. Nearly all are convinced it is of geologic significance only. I have conducted two geologic surveys there, and have had access to most of the subsurface and core-drilling data gathered by others. I am convinced (as is nearly everyone) that everything there has a perfectly rational and simple geologic explanation. Unfortunately, there are individuals who feel otherwise. They promote the site as the remains of Noah’s Ark. They have not allowed others to examine their data, preferring instead to make statements about the data only. To my knowledge, all who have critically evaluated the site and/or the methods and reports of these advocates are convinced they are mistaken. In fact, many of their claims conflict with facts I and others have gathered at the site. Briefly, the rock formation has a rather streamlined shape. It is of a size consistent with the biblical dimensions given, and is within the region called ‘the mountains of Ararat’ in Genesis. However, that is where its similarity with the Genesis Ark ends. The formation is situated in a sloping valley and is surrounded by a deposit of loose soil and crushed rock which is slowly sliding down hill, flowing much as a glacier flows. The formation (properly called the Durupinar Site after its discoverer, Ilhan Durupinar) consists of a stable area around which the material flows. Just as water flows around a rock in a stream bed, the site has acquired a streamlined shape, due to the dynamics of the slowly flowing material. Its sides, in places nearly vertical, are abraded by the flow, and are in their character exactly equivalent to the scoured vertical walls on the hillsides adjacent to the valley. The material within the formation is also equivalent to that in the surrounding hillsides. Samples taken of every rock type in the formation have been chemically analysed and studied in thin section under a microscope. The rock types are rather exotic, but there is nothing present which must be attributed to human construction. Geologically, the site is rather remarkable. The suite of rocks present represent an ophiolite belt, somewhat rare on the earth’s surface. (Ophiolite is a term applied to a group of rocks that were once molten, and after cooling were altered, so that now they are composed of serpentine (magnesium silicate), chlorite, epidote, and albite, mixed or veined with dolomite, magnesite, or calcite. They are usually green, veined with the white and pale green minerals.) These rocks are of a type normally found on the ocean floor. They were squeezed to the surface at this location, in one other locale in Turkey, and in a number of places worldwide. The several rock types give evidence of hydrothermal activity on the ocean floor, and are highly altered. Manganese nodules, frequently found on the ocean floor, are also present, and are misinterpreted by some as ‘metal fittings’ on the Ark, as are occasional rocks high in iron. Advocates of the site claim to have found linear bands of metallic material representing ‘beams’ in the Ark. These were discovered using a technique commonly known as ‘dowsing’, complete with brass rods held in one’s hand, which dip downward or cross in the presence of the desired metal, or so it is claimed. (This is similar to ‘witching’ for water using a forked stick, a practice almost universally condemned by evangelicals. There are no known principles of physics by which it operates.) According to Dr John Baumgardner, creationist geophysicist and formerly an advocate of the site, the anomalies discerned by this technique were not confirmed by use of a metal detector, which operates on known principles of physics. The presence of manganese nodules throughout the area, as well as iron and copper ore nearby, render any sober metal detection effort futile. Dr Baumgardner has conducted the most careful scientific study of the site to date. Using subsurface radar, little was learned. 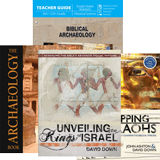 A seismic study indicated the presence of a rather flat planar surface under several feet of soil which was initially thought to indicate the Ark’s top deck. Subsequent core drilling, however, revealed that the material was a rock layer, the same rock layer as found outcropping on adjacent hillsides. 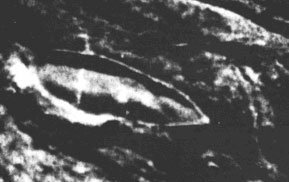 Although formerly convinced that this formation was probably the remains of the Ark, Dr Baumgardner now believes there is less than a 10 percent chance that anything man-made is present. Other claims concern the discovery of ‘anchor stones’ nearby. Most of these stones are now used as tombstones, and are decorated with crosses and inscriptions dating from within the past 1,000 years. They are found many miles from the Dumpinar Site and there is no reason to think they are related. Claims regarding divine leading with ‘audible’ voices leave this investigator unconvinced, as do studies in numerology of Babylonian and Egyptian writings which ‘specifically locate’ this site. What is needed is for the advocates of this site (which seems to geological and archaeological professionals to be of geological interest only) to make their data and observations available for study. If they are right, the evidence will bear it out. Such openness has not yet been offered. Unfortunately, these individuals have convinced officials to promote this site as the Ark. A ‘visitors centre’ has been constructed nearby, and a road sign directing travellers off the main road has been erected. However, perhaps because European tour groups taken to the site have by and large been offended that someone would try to pass off a rock as Noah’s Ark, as of November 1989 (my most recent trip to the site) the sign had been removed, the visitors’ centre was not operating, and sheep were grazing on the ‘Ark’, as they used to before all the excitement. Claims of a six-lane highway to the site are spurious. The one-lane trail of dirt, rock and mud has not been improved. We must keep in mind that the Bible does not prophesy that the Ark will be found, although I feel it would be within God’s character to do so. The Bible does not even specify a particular mountain. Having studied Mount Ararat and the surrounding area, one of intense geologic and volcanic turmoil, I have concluded that a wooden structure such as the Ark would not be likely to survive if it had landed there. The only reason to be looking at all is that eyewitnesses claim to have seen the Ark. While none of them is able to pinpoint the location, the consensus is that the remains were seen on the huge mountain known today as Greater Mount Ararat, regarded throughout history as the traditional resting place of the Ark. The Ark is such a precious picture of Christ . . . its discovery would focus the attention of many on our present-day Ark of Salvation, Jesus Christ. The discovery would have incredible impact. 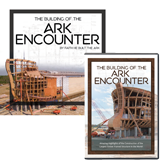 Not only would it demolish evolution’s foundation of uniformitarianism, but since the Ark is such a precious picture of Christ (the method of salvation for believers during time of judgment of sin), its discovery would focus the attention of many on our present-day Ark of Salvation, Jesus Christ. I am convinced that, if the Ark remains, it has been preserved all these years by God for a purpose. It will be found only when He is ready, when His eternal timetable calls for it, and in a way that will bring Him the glory. He will melt the glacier, move the rock, or do whatever it takes to reveal the Ark to a lost and dying world that needs it so. John Morris, Ph.D., has received graduate degrees in geological engineering. He is currently on the faculty of the graduate school at the Institute for Creation Research. Dr Morris is a scientist, inventor, and explorer, having led several expeditions to search for Noah’s Ark, and leads annual excursions to the Grand Canyon.